“Darbuka is well recognised in parts of the world other than Pakistan, as it is not only North Indian instrument. We often find similar shaped folk instruments in our region but these are not exactly darbuka,” says Zeeshan Ali, a final year Music student at the National College of Arts (NCA), Lahore and a player of darbuka. He says that although there are Persian influences in Pakistani music and culture but there isn’t much influence of darbuka in our musical system. Ali, who has been in the field of music for seven years now and performs classical music live in concert, believes that percussion music is gaining popularity amongst young Pakistanis and there is a growing awareness about different kinds of percussive instruments. He cites the example of Overload, a Lahore-based band, who use the dhol and tumbak in their music. 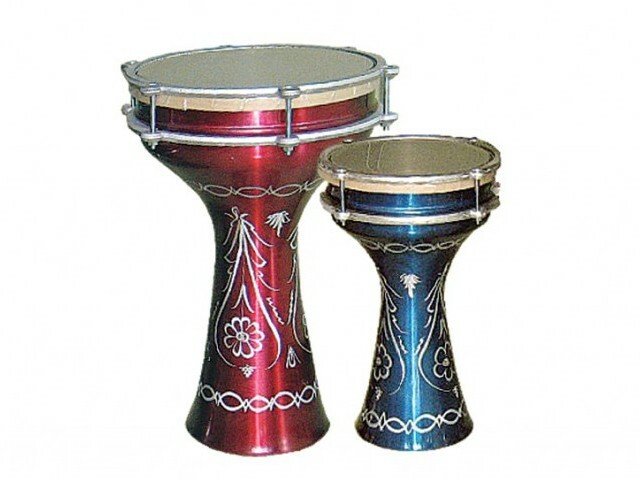 As a variety of darbuka are available, it may not be easy to choose one out of the many to play. However, those who know about the instrument or are interested in playing it would know which one is best for them. Some of the common types include the Egyptian darbuka, the Turkish darbuka, the Oriental darbuka, and the Arabian darbuka. One needs to be sure of the kind of darbuka they want. Picking the correct one is as important as playing it. Each one has unique notes and sound. The sound of the Turkish Darbuka will be significantly different from that of an Arabian one. Therefore, before actually buying it, one should do their homework thoroughly and be sure that it suits their requirement and budget.